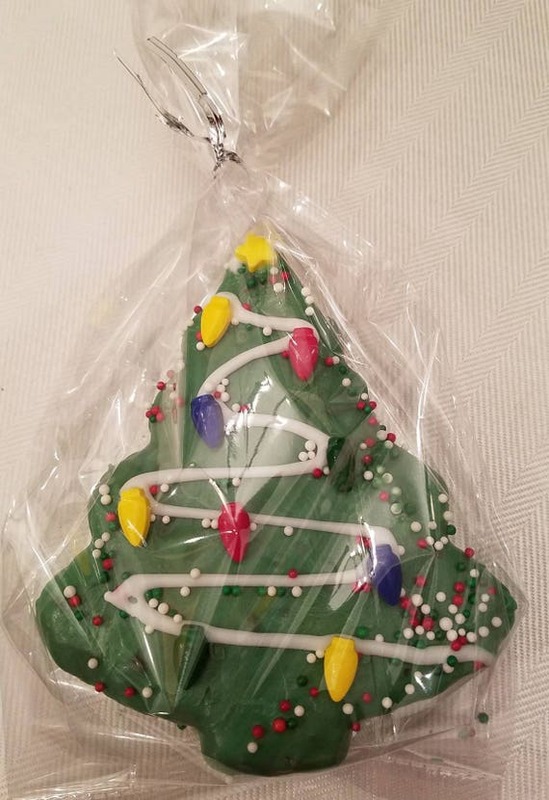 Candy coated chocolate chunk brownie Christmas tree made fresh when you place your order. 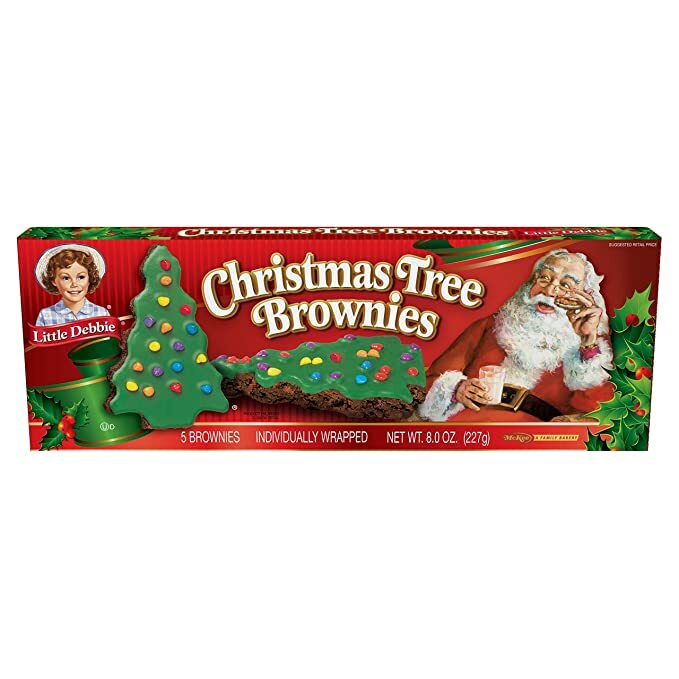 Brownie is coated with green candy melts and decorated with candy light bulb pereillies. Brownie is approximately 6 inches in length and approximately 1 inch deep. Packaged in a cello bag. 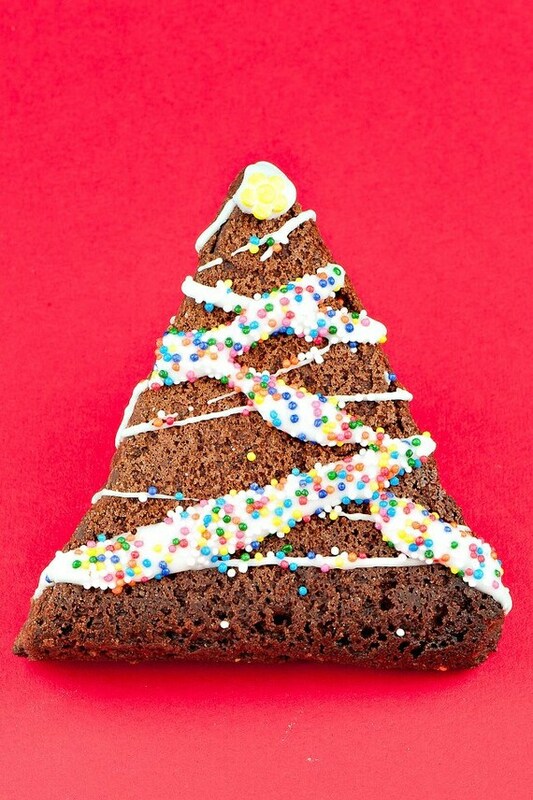 Four rich and chewy homemade brownies decorated like Christmas Trees, individually wrapped and tied with a fabric bow. BEAUTIFUL stocking stuffers, party favors or a hostess gift.